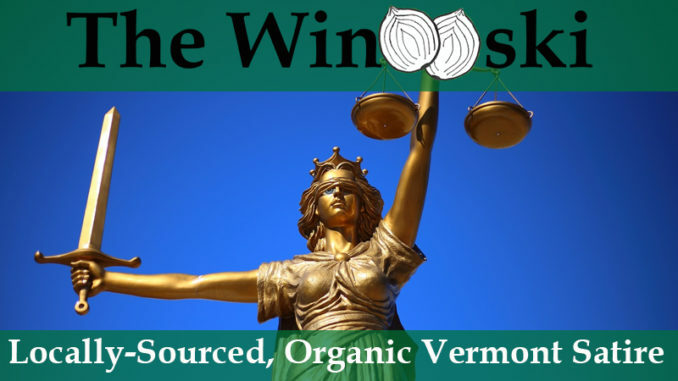 MONTPELIER – In a groundbreaking new ruling this week, Vermont Superior Court declared that residents do not have a Constitutional right to be poor. A class action suit was brought against society as a whole, claiming that many people living in poverty are penalized for it, though fines, fees, increased interest charges, and loss of potential future revenue through fewer loans, mortgages, and investments. Many involved in the suit hoped that a settlement would remove many of the barriers that lower income people have to building wealth. In a unanimous decision the court confirmed the opinion of society’s representation, which was that this country was founded by the wealthy and privileged for the express use of the wealthy and privileged, and that poverty is not a protected class. Those making the choice to live in poverty ought to be cheated, scammed, and swindled by the government, according to the ruling, due to their lack of character and judgement. The legal defense team for society celebrated by having everyone’s cars towed and then blowing cigar smoke into the faces of anyone they could find without health insurance.